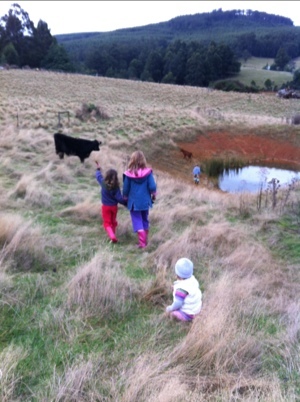 We set out for a wander to visit the cows. Bessie is always happy to see us; she wants food! 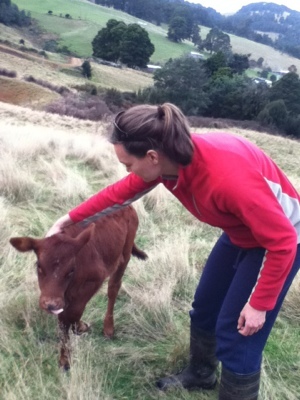 She doesn’t mind a bit of a pat either. 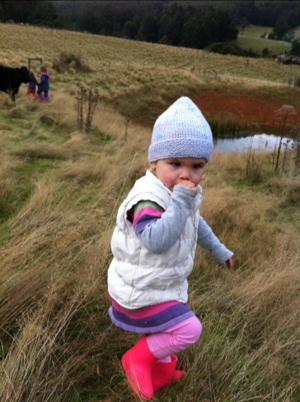 The children had fun running around the (very shallow) dam. Our soil absorbs water so we have trouble filling a dam. Apparently our soil is high in iron. 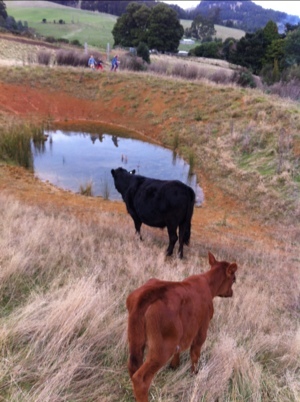 There’s actually a little spring in this dam and we’re discussing options for lining it so it holds water. Currently it is crystal clear, with reeds growing around it. 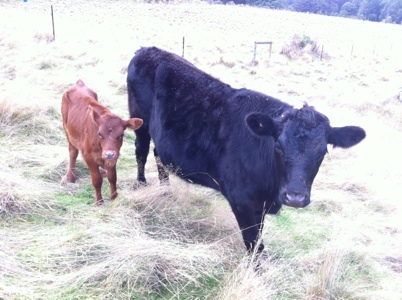 Mr T and Bessie seem to keep eachother company quite nicely, but we’d like to add to the herd one day, once more fences are sorted out. 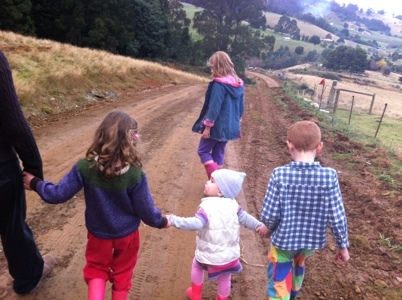 Our youngest child loves wandering around the paddocks. It’s one of her favourite things to do – along with thumb sucking.